Daily Moisture Lotion with SPF 15 is our solution to give you daily protection from the sun's harmful rays. This non-greasy, fast-absorbing formula provides broad-spectrum UVA/UVB protection and long-lasting moisture for healthy-looking skin. We believe everyone deserves to have healthy, comfortable skin. Lubriderm®, the brand developed by the dermatologists, offers specialized formulations with essential nutrients naturally found in healthy skin. Daily moisture lotion with SPF15 is our solution to give you daily protection from the sun's harmful rays. This non-greasy, fast-absorbing formula provides broad-spectrum UVA/UVB protection and long-lasting moisture for healthy-looking skin. 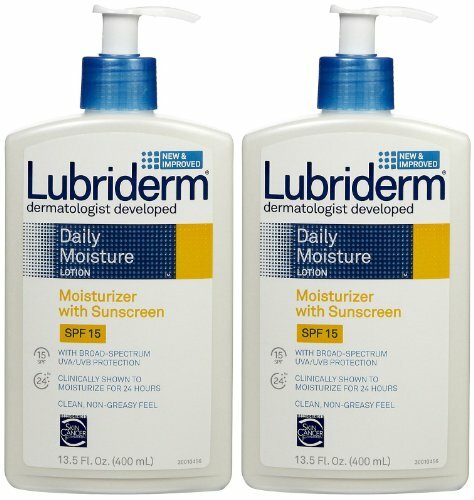 If you have any questions about this product by Lubriderm, contact us by completing and submitting the form below. If you are looking for a specif part number, please include it with your message.